Congratulations to all the handlers and dogs on their accomplishments this Summer and Fall! 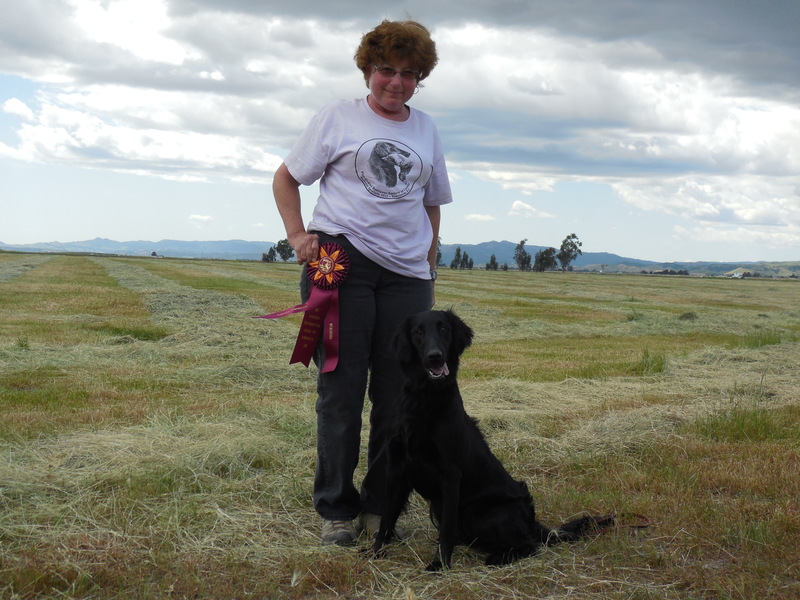 Congratulations to Jean and Angel on earning their Senior Hunter title at the Great Western Flat-Coated Retriever Club test in November! Angel earned her first Senior pass in Fallon, NV at the beginning of May and followed that up with a second pass a few weeks later at Lost Hills. At the Sagehens Retriever Club Fall Hunt Test they received their third pass. At the GWFCRC test they earned their title on Saturday, and then got an extra pass on Sunday. Great job Jean and Angel! Watch for this stylish team in Master tests soon! Congratulations to Kathy and Rion on earning their Working Certificate Intermediate title at the Golden Retriever Club of Greater Los Angeles WC/WCX held in Chino! They had to wait out a downpour and deal with a very muddy and mucky test site, but Rion did nicely on the water and passed the land series with flying colors. Way to go Kathy and Rion!! Congratulations to Michael and Stryker on earning their WC, WCX and Senior Hunter titles! In May Stryker earned both WC/WCX titles at the Norcal GRC test held at Denverton. He then passed four straight Senior Hunter tests to earn his SH title! 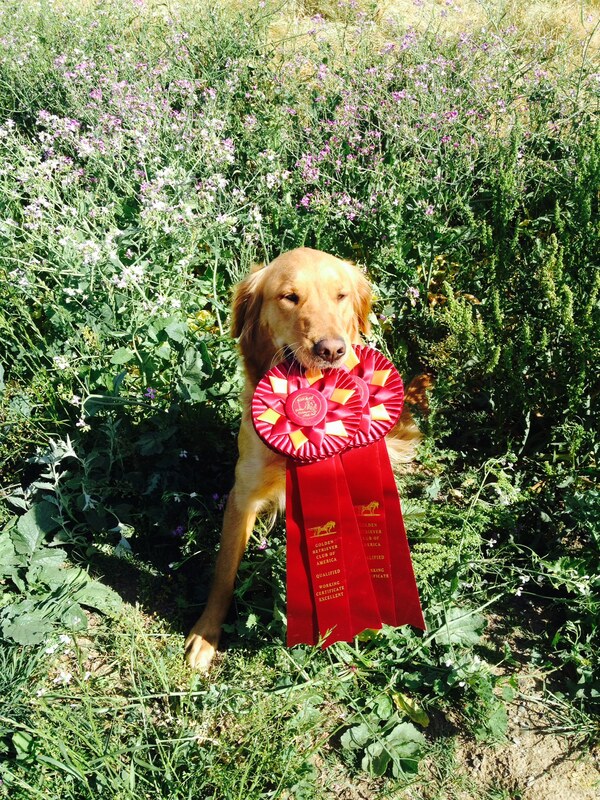 Michael and Stryker earned their first SH pass at the Salem Retriever Trial Club hunt test in Oregon in July. The team followed that up with another pass at the Redwood Empire Retriever Club test in August, and then earned the last two passes at the Sagehens Retriever Club Fall Hunt Test at Denverton in September. Michael gives credit to Cheryl for preparing him for whatever the judges could throw at them. He also thanks her for training him to be able to help Stryker perform at his best. Now that the hunt test season is over, Stryker will be pheasant hunting in Nebraska and duck hunting in California. Congratulations to a great team!! Congratulations to Paddy and Tyler on earning their Senior Hunter title at Sagehens Fall Test! Paddy and Tyler have been training hard all year and it has paid off. Paddy is proud that she and Tyler have been working together as a team to earn their title. Tyler is only the 43rd poodle to obtain a Senior Hunter title. What a fantastic accomplishment!! Paddy and Tyler will continue their journey and plan on running in Master next year. Congratulations on a job well done!!! Congratulations to Jeanne and Tide on their Senior Hunter title! A couple months after earning their JH, Jeanne and Tide ran their first Senior test at the Sierra Nevada Retriever Club Spring test and earned a Senior Hunter leg there. They got a second SH leg on the road in Utah later that month, and finished their title in September at the Sagehens Retriever Club Fall Hunt Test. What a great Summer and Fall they’ve had! Congratulations on this wonderful accomplishments!! 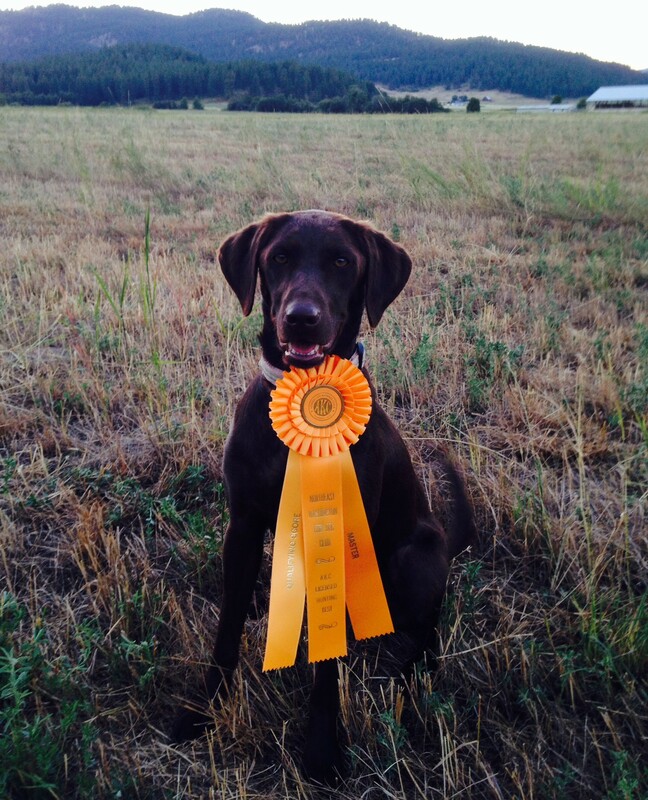 Congratulations to Deb and Ali’i on earning their Master Hunter title at the Northeast Washington Gun Dog Club’s Summer Hunt Test! Deb and Ali’i had a great time on the road this summer and traveled to Nevada, Utah, Oregon and Washington running some hunt tests. They obtained a MH pass at each of these places to go along with the pass they earned earlier in the year, and earned their title at the end of July in Washington. Deb is very proud of her little brown dog who earned her Master Hunter title at the age of 2 years, 3 1/2 months. Congratulations to Don and Oakley on earning their WC and JH in back to back weekends in May! Don and Oakley earned their WC at the NorCal GRC WC/WCX test held at Denverton on May 10th, then traveled to Lost Hills the following weekend for the California South Coast Retriever Club Hunt Test and earned their 4th Junior leg to complete her Junior Hunter title. You’ve made Cheryl and momma Monkey very proud! Great job! Congratulations to Jean and Angel on earning both their WC and WCX titles at the Norcal GRC WC/WCX Test held at Denverton in May! Jean is proud of Angel running in both the WC and the WCX tests and bringing home 2 ribbons. Jean and Angel had a very busy May and also ran hunt tests just before and after the WC/WCX. They earned their first Senior Hunter pass at the Sierra Nevada Hunting Retriever Club test in Fallon at the beginning of May, and their second SH leg at Lost Hills the weekend after they got their WC/WCX titles. 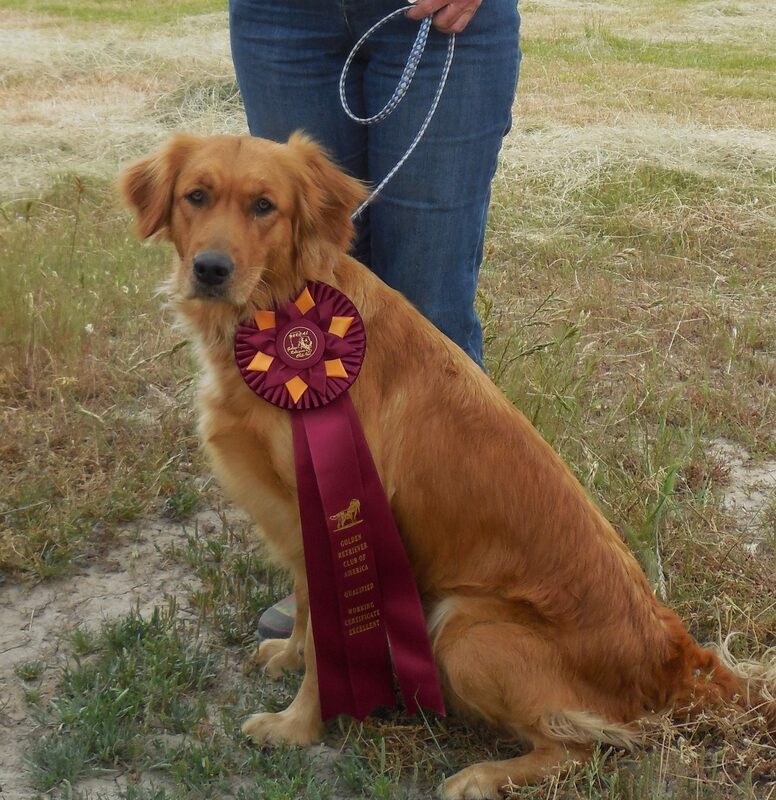 In September, Angel got her third SH pass at the Sagehens Retriever Club Fall test. I’m sure we’ll be hearing about her Senior Hunter title real soon! Congratulations to this great team!! Congratulations to Cheryl and Roca on their Working Certificate Excellent title at the Norcal GRC WC/WCX held at Denverton! Roca did a great job on both land and water picking up all her birds and earning her WCX. Cheryl is very proud of Roca’s latest title. Great job Cheryl and Roca! Way to go!! Congratulations to Laurie and Spyder on earning their Junior Hunter title! Laurie and Spyder went to Oregon for Memorial Day and ran in the Oregon Hunting Retriever Club double header to complete the last 2 legs for their title. Despite the strong winds and rain storm, Spyder got all her birds and came home with 2 ribbons and a new title. Laurie is happy and very proud of Spyder meeting this goal, and wants to thank Cheryl for helping them with this accomplishment! Way to go Laurie and Spyder!!! Congratulations to Cathy and Zest on their WC! Cathy thanks Cheryl for running Zest and earning her WC title at the Norcal GRC WC/WCX test in May. Cathy had to work that weekend, so Cheryl ran Zest to earn her Working Certificate. Cathy is very proud of Zest’s accomplishments and said “I want to give a huge thanks to Cheryl Baca for running her and for all of her training to get us this far.” Great job all!! Congratulations to Bruce and Reegan on earning another MH pass at the Great Western Flat-Coated Retriever Club Hunt Test held in Chino in November. Bruce and Reegan endured the blustery Santa Ana winds and long days to obtain a well deserved MH pass. Great teamwork Bruce and Reegan! Congratulations to Cheryl and Gabby on earning another MH pass at the Sagehens Retriever Club Fall test. This was Cheryl and Gabby’s first test since the beginning of the year, but with all of their experience, they passed without a hitch. Great work Gabby and Cheryl!! Congratulations to Ardith and Ryman on earning 3 more MH passes! 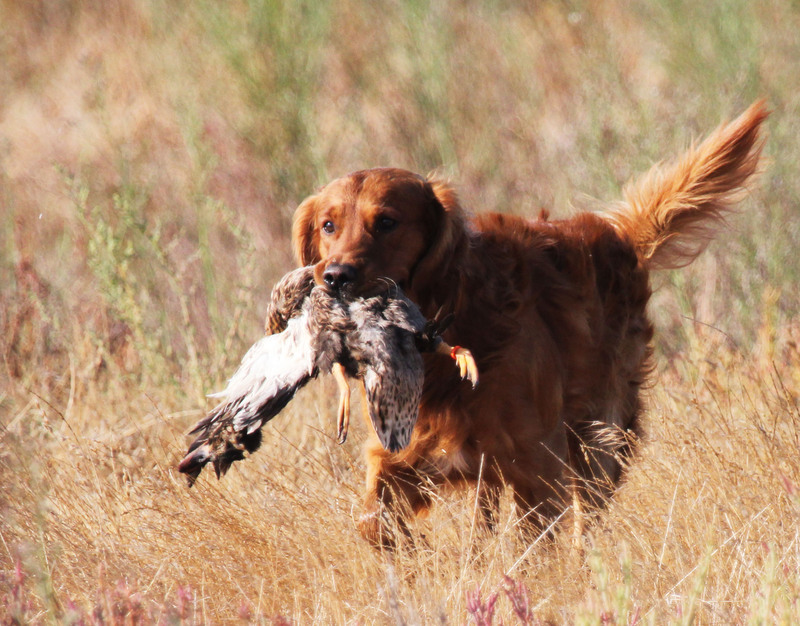 Ardith and Ryman earned 2 passes at the California South Coast Retriever Club double header test in Lost Hills in May. Then they trained hard all Summer and ran again at Sagehens Retriever Club’s Fall test for another pass. Congratulations to this hard working, hard running team!!! 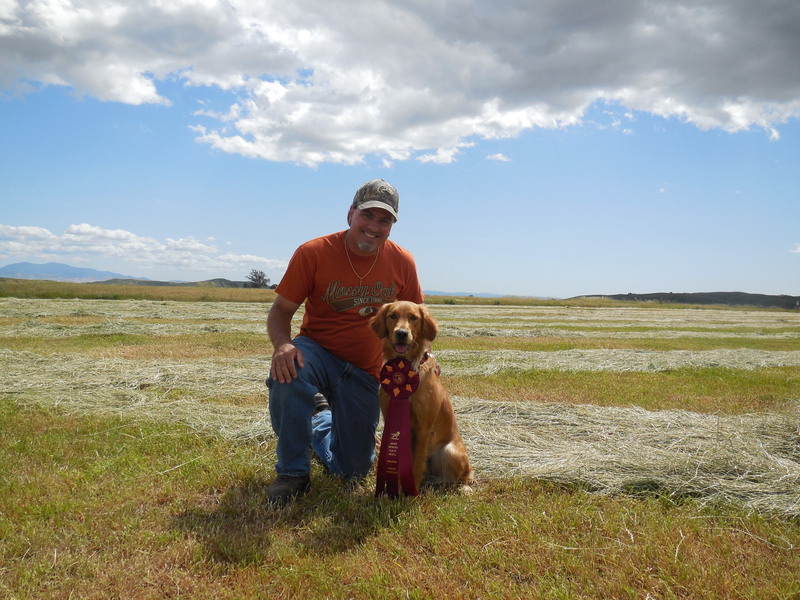 Congratulations to Jean and Flyer on earning another 2 Master passes at the Sierra Nevada Retriever Club Hunt Test and the California South Coast Retriever Club Hunt Test in May! These two passes made it five in a row for Jean and Flyer. What great teamwork! 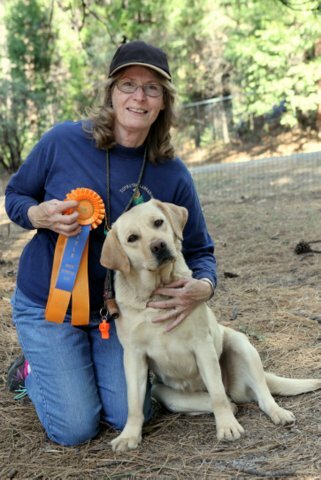 Congratulations to Jean and Ember on earning 2 Master passes at the California South Coast Retriever Club double header test in May! Ember wasn’t going to let Flyer get all the credit, and worked hard with Jean to go 2 for 2 at the double header in Lost Hills. Great job Jean and Ember!! Congratulations Bruce and Indee on earning another Master Hunter pass at the California South Coast Retriever Club Hunt Test in May! This pass qualified Indee for the Master National. Way to go Bruce and Indee!! Congratulations to Pat and Tux on earning their first two Senior Hunter passes at the Sagehens Retriever Club Fall Hunt Test! Pat and Tux have been training hard and working on their teamwork and it sure showed. This was their first Senior tests and they came away with 2 ribbons. Well done!! Pat and Tux followed up their Senior debut with a trip to Chino in November where they earned their 3rd SH leg. Congratulations, one more for their title! Congratulations to Harvey and Sammy on earning their 2nd and 3rd Senior Hunter passes! Harvey and Sammy took a roadtrip to the Flat Coated Retriever Society’s Specialty held in Oregon in May and obtained their second SH leg. 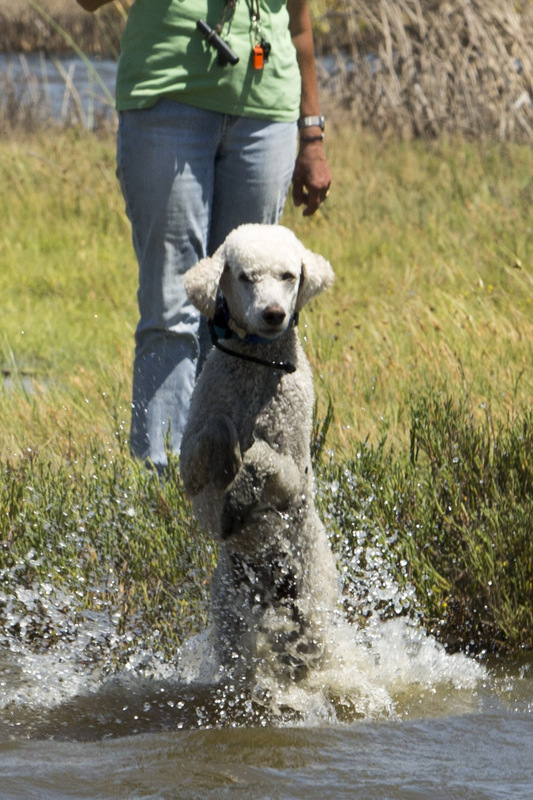 They earned their third pass at home at Sagehens Retriever Club’s Fall test. Just one more to go for their title! Way to go Harvey and Sammy!! !